Our company is manufacturing a wide variety of Western Leather Tacks (HS-2) in the market all over the country. 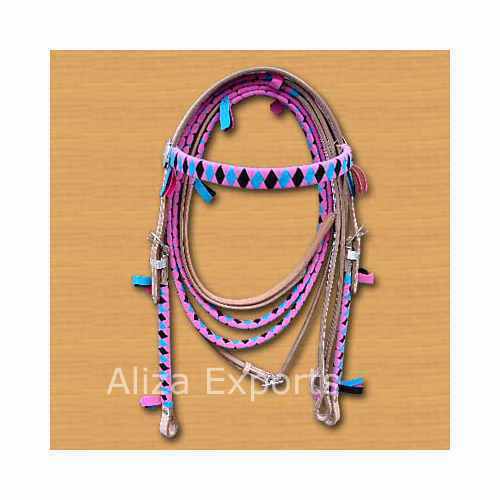 This leather headstall is unique, fancy and is decorated with multi-coloured ribbons which make it attractive and glamorous. The leather used in making this product is pure and polished properly to make it exclusive and charming. Our products are available at reasonable price.